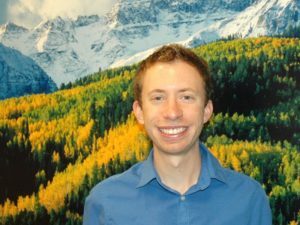 I am a third-year associate attorney at Earthjustice, the nation’s oldest and largest public interest environmental law firm. It’s my dream job. I focus on reducing air pollution and methane emissions from the oil and gas sector through litigation over nationally applicable regulations as well as administrative proceedings to address more discrete issues in Colorado. Every morning I wake up excited to go to work and advocate to protect communities in Colorado and throughout the West from the harmful health impacts of oil and gas development. I really took the idea of giving back to Colorado to heart. I remain endlessly grateful for the opportunity to go to an amazing school like Colorado College for free. It opened my mind to so many ideas I never would have encountered, and opened doors to educational and career opportunities I never would have imagined. A big part of why I decided to come back to Colorado after law school was so that I could give back to the community that nurtured me and believed in me. I am on the Colorado College Alumni Board. I also volunteer with my local Democratic Party chapter and with the Colorado LGBT Bar Association. Right now I’m spending a lot of time campaigning for Angela Cobián, my friend from the Colorado College debate team, who is running for Denver School Board. Don’t go to law school until you know exactly what kind of lawyer you want to be. Too many people go to law school because they aren’t sure what else they want to do. They end up getting saddled with a lot of debt and taking jobs that make them miserable, working long hours in a high-pressure environment on behalf of clients they don’t agree with. It’s better to take a few years to try out different jobs (ideally working with or around lawyers), and be absolutely certain that being a lawyer is right for you. Rachel Carson. She was so ahead of her time, and without her talent to present complex scientific concepts in an accessible, and even lyrical way, there would be no modern environmental movement. I also think it would be fascinating to eat dinner with Oscar Wilde and RuPaul. Although they lived a century apart, they fill such similar roles in LGBT culture by using art and humor to critique society. They are also both so smart, opinionated and funny that I think I would be laughing for days!